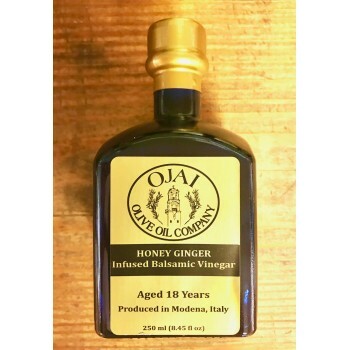 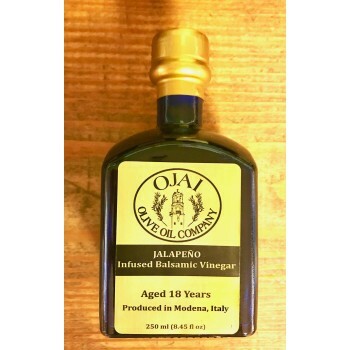 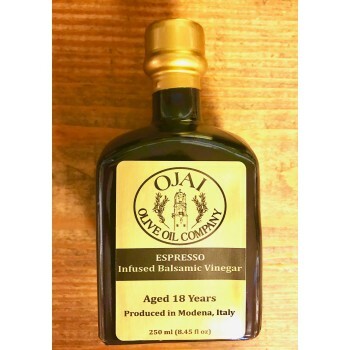 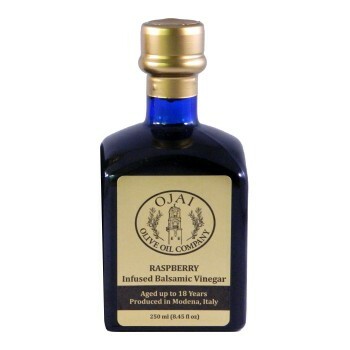 Blackberry Ginger Infused Traditional Balsamic Vinegar Our Blackberry-Ginger Balsamic Vineg..
Cinnamon Pear Infused Traditional Balsamic Vinegar Our Cinnamon-Pear Balsamic Vinegar is cr.. 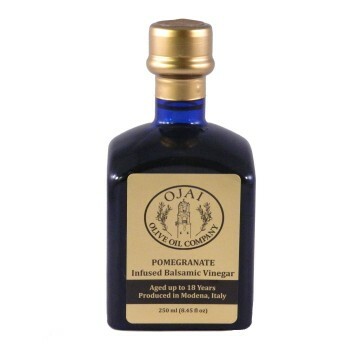 Fig Infused Traditional Balsamic Vinegar Our Fig Balsamic Vinegar is crafted from 80% Trebb..
Peach Infused White Balsamic Vinegar Our Peach Balsamic Vinegar is crafted from 100% Trebbi..
Pomegranate Infused Traditional Balsamic Vinegar Our Pomegranate Balsamic Vinegar is crafte..
Raspberry Infused Traditional Balsamic Vinegar Our Raspberry Balsamic Vinegar is crafted fr.. Traditional Balsamic Vinegar Our Traditional Balsamic Vinegar is crafted from 80% Trebbiano..
White Balsamic Vinegar Our White Balsamic Vinegar is crafted from 100% Trebbiano grapes tha..
Honey Ginger Infused Traditional Balsamic Vinegar Our Honey Ginger Balsamic Vinegar is craf..
Jalapeño Infused Traditional Balsamic Vinegar Our Jalapeño Balsamic Vinegar is crafted fro..
Espresso Infused Traditional Balsamic Vinegar Our Honey Ginger Balsamic Vinegar is crafted ..